Truth be told, we're not sure what Razer would have expected from a niche product like the Razer Phone. Advertised as a gaming phone, the top-tier device faced fierce competition from flagships coming from major smartphone companies. Apparently, the Razer Phone and its sequel didn't sell that well, which forced the company to take action. Instead of announcing its third smartphone, Razer has decided to lay off most of its mobile device and hardware engineer staff last week, Droid-life reports. According to a tip, the Razer Phone 3 has been canceled as well and those remaining will be moved to different parts of the company. An official statement from Razer confirms 2% of its total workforce (30 people) were laid off as part of the company's reorganization. Razer has made changes to realign our organization and strengthen our path to growth. We will centralize our resources to focus on key projects and improve our profitability. As part of the realignment, we shut down several projects and unfortunately had to part ways with about 30 employees (about 2% of our total workforce). Other employees of the affected projects will be moved to different parts of Razer to work on other key focus projects and initiatives which will continue to scale and hire. Although it's hard to tell from the statement that the people laid off were part of the mobile division, it wouldn't be surprising for Razer to cut its losses. Making smartphones is expensive, but making flagships is even more expensive, so if you don't manage to sell them to cover your costs, you're going to lose quite a lot of money. Great phone just not affordable to teen. And most adults who have job can’t seat around play game. Great phone? No, not even a good phone. For the price this launched at, you could have gotten far better phones with far better cameras and optimization. Actually this is probably one of the smoothest android phones on the market. Did you actually own one? The phone as mean for heavy gamer and 120hz refreshing rate. I'm enjoying mine. Even if they don't make anymore and they were losing money, its still a mobile gaming beast. Oh well, guess I'll use it until they don't update it anymore and put it with my Xperia Play and NGage. i mean compared to other snap 845 phones, how much of a difference is it to the average gamer? i couldn't imagine it being a deciding factor against other phones. no throttling, no frame drops and pretty much a beast with emulation. Other phones have similar specs but that vapor chamber keeps the phone from overheating. Unsurprising, Razer is know for poor quality products that they can advertise as "gaming stuff" on the other Hand it's much more difficult to be successful on a mobile phone market. At least they gave us pretty decent phone while Nextbit influence was felt. So price drop for Razer phone 2 coming soon then. Sweet. I still use my original Razer as my visual media device. The 120hrz refresh rate Is really just that good. 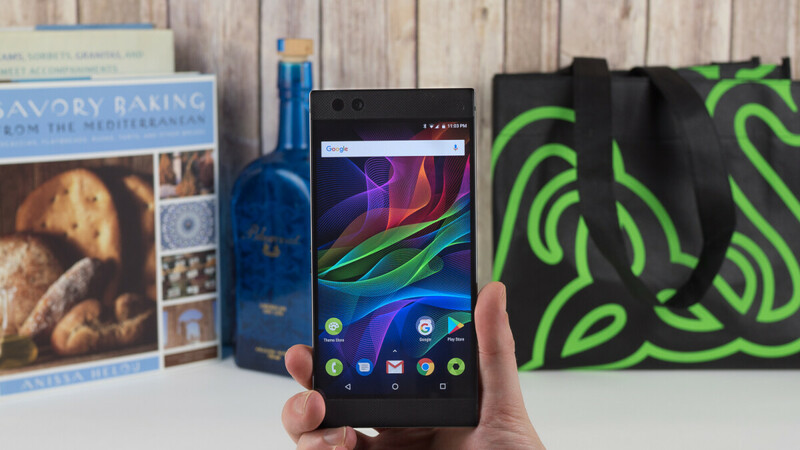 They should have launch with the NextBit Robin 2, maybe called it the Razer Robin 2, aimed for gamers at a discounted price. Yup.. mediocre design. Hefty price tag.. good luck with that razar . Fire sale? Of course it didn't sell well. Why would you release a gaming phone months before a new CPU is available? Just stupid.